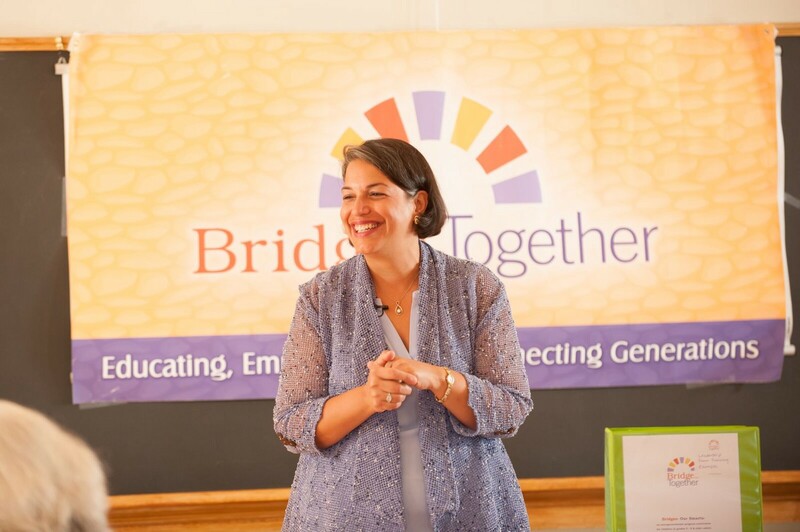 I had the pleasure of interviewing Andrea J. Fonte Weaver, Founder & Executive Director of Bridges Together (BT), a nonprofit that provides training and tools to improve multigenerational connections. BT helps individuals, companies, schools and communities build a more cohesive and enriching society. I was raised in an extended, Italian family, which planted the intergenerational seed and led me to pursue a master’s degree in the niche field of intergenerational studies, focused on uniting older people and youth. I founded BT to meet the needs of our changing society — by 2025, America will have more adults over the age of 65 than youth under age 13. I am thrilled to help prepare for that day while being a force to communicate the beauty and spirit of living in communion with people of different ages today. Our most urgent mission is to build awareness about intergenerational solutions and help communities develop and implement such programs. We’re doing this by creating an online training platform for global aging professionals, educators, business and community leaders. Our resources on the art and science of intergenerational engagement range from interactive training, comprehensive how-to guides and white papers to hosting webinars and virtual networking opportunities. We develop training and tools for people who work with older and younger adults to share with, learn from, teach, help and be mutually inspired by one another. Research shows that intergenerational programs reduce ageism, curb social isolation, improve communication skills and boost well-being for all. Our award-winning Bridges Program aligns with educational standards and is being used in schools across America. Barbara Morin, a senior center volunteer, had a goal to unify the seniors and students in her neighborhood but she didn’t know how to do so effectively. We gave her the tools to make her dream a reality. In doing so, Barbara connected refugee children with caring, older adults — helping the youth assimilate and learn English while giving older adults a new lease on life by giving of themselves and learning. My faith. I believe that God prepared for me this work through my personal and professional experiences, education and certifications. I am prepared to help lead this movement, connecting generations to transform lives for today and tomorrow. This is my vocation. David Stevens, Executive Director of Massachusetts Councils on Aging, is that person. Dave helped me secure BT’s first 3-year grant to start creating innovative ways to deliver training and tools while fostering successful intergenerational partnerships. Be prepared for hard work. While rewarding, growing a nonprofit is hard work. There are a lot of lessons to be learned. Find a mentor or group to support you. Just start and improve later. Give yourself time to plan and prepare — whether it’s a new initiative or product — but second guessing will slow you down and waste valuable resources. Be prepared for a growth curve. Nothing happens overnight and not all initiatives will move forward quickly. Be patient and willing to grow, learn, adapt, and accept critical feedback. Be confident and purposeful. Know your rationale and your goals. Find your voice and lead with confidence. Surround yourself with people who can support and sustain you. Social entrepreneurs exist. We see societal problems — like age segregation — and develop replicable solutions like the BT methodology to uniting generations. Some of the biggest names in Business, VC funding, Sports, and Entertainment read this column. Is there a person in the world whom you would love to share a private meal with and why? Oprah has been hugely inspirational to me in the way she has embraced her own life journey and promotes a positive approach toward aging. Two of her magazines dating back to 2003 sit on my shelf with cover stories: “Age Well! Start Now!” and “How to Get Better with Age.” If I were to have coffee with Oprah, I would ask for her help in building awareness to intentionally increase intergenerational engagement across communities. BT is on Facebook, Twitter and LinkedIn.